Many analysts and commentators are now looking over the ruins of the Ontario government from the election last week, and pointing to the McGuinty-Wynne government’s disastrous handling of the electricity sector, particularly the ideology-driven push for renewables, as a factor. Two Auditors General said Ontario had never done a cost-benefit analysis for its aggressive support of industrial-scale wind power and that we were paying too much — far too much — for the power. Which was intermittent and unreliable to boot, so it could never do what they said it would. Now, Ottawa-based energy insider Steve Aplin says, not only was large-scale wind expensive it was also a waste of time: wind power has never been shown to reduce CO2 or carbon emissions. Wind did not replace the power produced by Ontario’s shuttered coal plants, gas and nuclear did. 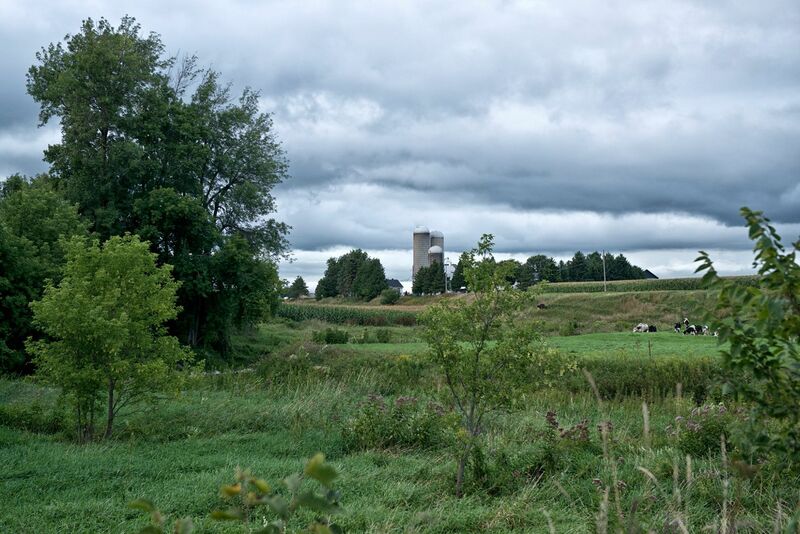 Read Mr Aplin’s excellent analysis here, but remember, a 100-megawatt power project was just approved for North Stormont, just south of Ottawa, and an approval is pending for another project east, in The Nation. Neither community wants the power projects, there are significant environmental concerns, and Ontario doesn’t need the intermittent power produced out-of-phase with demand. Former bank vice-president and vice-president of Wind Concerns Ontario was in Ottawa this past weekend, speaking at a Town Hall in Kanata on the details of Ontario’s electricity bills. Today, he published an analysis of how much wind power is really costing us, on his Energy Perspectives blog. When the well-financed wind power lobby claims wind power prices are low, they don’t factor in other costs such as wasted hydro, gas, and nuclear, he says. This is really shocking, given the rise in energy poverty in Ontario. Here is the post by Parker Gallant. Most electricity ratepayers in Ontario are aware that contracts awarded to wind power developers following the Green Energy Act gave them 13.5 cents per kilowatt (kWh) for power generation, no matter when that power was delivered. Last year, the Ontario Auditor General’s report noted that renewable contracts (wind and solar) were handed out at above market prices; as a result, Ontario ratepayers overpaid by billions. The Auditor General’s findings were vigorously disputed by the wind power lobbyist the Canadian Wind Energy Association or CanWEA, and the Energy Minister of the day, Bob Chiarelli. Here are some cogent facts about wind power. The U.K. president for German energy giant E.ON stated wind power requires 90% backup from gas or coal plants due to its unreliable and intermittent nature. The average efficiency of onshore wind power generation, accepted by Ontario’s Independent Electricity System Operator (IESO) and other grid operators, is 30% of their rated capacity; the Ontario Society of Professional Engineers (OSPE) supports that claim. OSPE also note the actual value of a kWh of wind is 3 cents a kWh (fuel costs) as all it does is displace gas generators when it is generating during high demand periods. On occasion, wind turbines will generate power at levels over 90% and other times at 0% of capacity. When wind power is generated during low demand hours, the IESO is forced to spill hydro, steam off nuclear or curtail power from the wind turbines, in order to manage the grid. When wind turbines operate at lower capacity levels during peak demand times, other suppliers such as gas plants are called on for what is needed to meet demand. Bearing all that in mind, it is worth looking at wind generation’s effect on costs in the first six months of 2016 and ask, are the costs are reflective of the $135/MWh (+ up to 20% COL [cost of living] increases) 20 year contracts IESO, and the Ontario Power Authority awarded? As of June 30, 2016, Ontario had 3,823 MW grid-connected wind turbines and 515 MW distributor-connected. The Ontario Energy Reports for the 1st two quarters of 2016 indicate that wind turbines contributed 4.6 terawatts (TWh) of power, which represented 5.9% of Ontario’s consumption of 69.3 TWh. Not mentioned in those reports is the “curtailed” wind. The cost of curtailed wind (estimated at $120 per/MWh) is part of the electricity line on our bills via the Global Adjustment, or GA. Estimates by energy analyst Scott Luft have curtailed wind in the first six months of 2016 at 1.228 TWh. 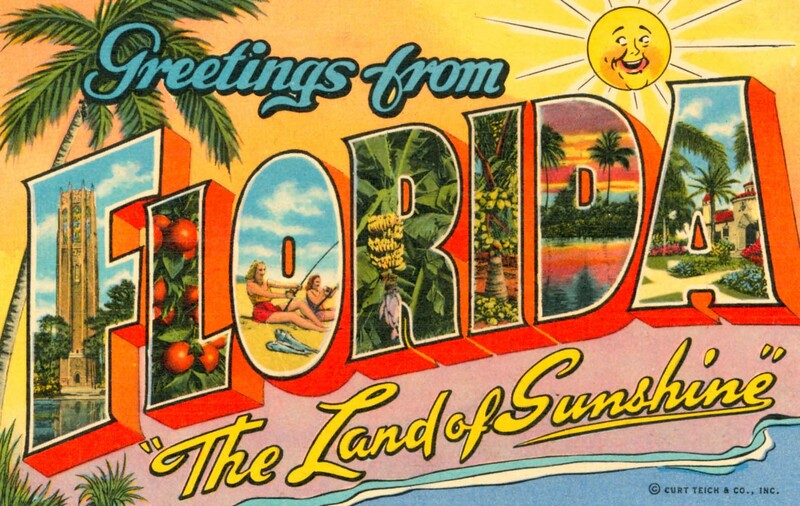 So, based on the foregoing, the GA cost of grid-accepted and curtailed IWT generation in the first six months of 2016 was $759.2 million, made up of a cost of $611.8 million for grid-delivered generation (estimated at $133 million per TWh) and $147.4 million for curtailed generation. Those two costs on their own mean the per kWh cost of wind was 16.5 cents/kWh (3.2 cents about the average of 13.3 cents/kWh). 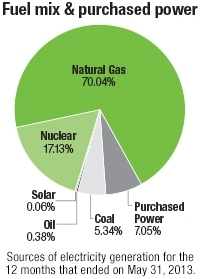 The $759.2 million was 12% of the GA costs ($6.3 billion) for the six months for 5.9% of the power contributed. But hold on, that’s not all. We know that wind turbines need gas plant backup, so those costs should be included, too. Those costs (due to the peaking abilities of gas plants) currently are approximately $160/MWh (at 20% of capacity utilization) meaning payments to idling plants for the 4.6 TWh backup was about $662 million. That brings the overall cost of the wind power contribution to the GA to about $1.421 billion, for a per kWh rate of 30.9 cents. If you add in costs of spilled or wasted hydro power to make way for wind (3.4 TWh in the first six months) and steamed off nuclear generation at Bruce Power (unknown and unreported) the cost per/kWh would be higher still. So when the moneyed corporate wind power lobbyist CanWEA claims that the latest procurement of IWT is priced at 8.59 cents per kWh, they are purposely ignoring the costs of curtailed wind and the costs of gas plant backup. Effectively, for the first six months of 2016 the $1.421 billion in costs to deliver 4.6 TWh of wind-generated power represented 22.5% of the total GA of $6.3 billion but delivered only 5.9% of the power. Each of the kWh delivered by IWT, at a cost of 30.9 cents/kWh was 2.8 times the average cost set by the OEB and billed to the ratepayer. As more wind turbines are added to the grid (Ontario signed contracts for more in April 2016), the costs described here will grow and be billed to Ontario’s consumers. There is plenty of evidence to counter the claim that wind power is “a smart investment.” But it is true that this is a “good news story” — for the wind power developers, that is. They rushed to Ontario to obtain the generous above-market rates handed out at the expense of Ontario’s residents and businesses. And we’re all paying for it. Residents of Nation Township and North Stormont recently gathered signatures on a petition and letters demanding the Ontario government halt the Large Renewable Procurement (LRP) process permanently (it is currently “suspended”), cancel the LRP I contracts awarded for five wind power projects earlier this year, and cancel contracts for wind power projects that have not yet been built. The Premier of Ontario recently admitted that her government’s energy policies were a “mistake” that resulted in higher costs for Ontario citizens. The petitions filed at Queen’s Park yesterday refer to the high electricity rates and growing poverty and also to the fact that the Wynne government, specifically Energy Minister Glenn Thibeault, says it now has a “robust supply of power” for the years ahead. So why pay out the millions for these new contracts, for power we don’t need, say the residents. MPPs Jim McDonell and Grant Crack (the LIBERAL MPP for Glengarry-Prescott-Russell) read the petitions in the Legislature yesterday, while representatives of Save The Nation/Sauvons La Nation and Concerned Citizens of North Stormont watched from the Gallery. A story on the petition may be found here. Here are the details for the five contracts awarded by the IESO last spring. How much is 3.2 TWh? Enough to supply about 350,000 average Ontario households with electricity for a full year … but it didn’t! The principal reason we have surplus baseload is due to wind and solar being granted “first to the grid” rights. And, because wind and solar are intermittent (and unreliable) OPG is forced to spill clean renewable hydro power. While spilling hydro in itself is disturbing in Ontario, especially considering our hydro-electric history, the fact we are now obliged to pay for the spilled hydro at the same time we are paying wind developers 13.5 cents a kilowatt hour (kWh) and solar generators as much as 80 cents a kWh simply adds more costs to our monthly hydro bills. OPG received $47 million per TWh (4.7 cents/kWh) for the spilled hydro. That means electricity ratepayers’ pockets were picked for over $150 million, or about $31.00 per ratepayer. Our reward for absorbing that cost was zero. This month, Energy Minister Bob Chiarelli, will likely announce that Ontario will add even more intermittent, unreliable wind and solar generation. Your pockets are not safe yet. Reposted from Wind Concerns Ontario. See the post at Wind Concerns Ontario here. Residential electricity users in Ontario are set to pay more for power in 2016 due to changes that take effect with the flipping of the calendar, according to one energy consultant. He estimated bills will go up from to six to seven per cent for power consumed starting Jan. 1. That would be on the heels of time-of-use rate hikes that took place Nov. 1, and ahead of more rate hikes planned for May 1, 2016. The energy minister has said he’s focused on slowing the rate at which the cost of electricity is increasing. A statement from Bob Chiarelli’s office insisted bills are increasing more slowly than in neighbouring jurisdictions. After Dec. 31, 2015, the debt retirement charge comes off residential electricity bills, although other users such as those in business and industry will continue to pay down the debt incurred by the former Ontario Hydro through at least 2018. On the same day, the province’s clean energy benefit expires. It was introduced in 2011 and has meant a 10-per-cent rebate on electricity bills. The two changes do not offset one another, so people will end up paying more for electricity consumed in 2016, said Adams, who estimated the clean energy rebate has typically been double to triple the charge homes paid against the Ontario Hydro debt. To help those with a low income deal with the loss of that 10-per-cent rebate, the province will begin the Ontario Electricity Support Program starting Jan. 1. As of late December, people who could be eligible had been slow to apply to that program. All electricity rate payers are being charged $0.0011 per kilowatt-hour to pay for the new credits for those on low incomes. The hydro bill becomes further complicated, Adams said, as Ontario moves toward a system where every home pays the same, fixed distribution rate. Starting Jan. 1, the amount of electricity a household consumes will count less and less toward what it’s charged for using the grid. “The network of poles and wires that are used in your community really don’t vary much in cost depending on how much you use them,” said Hewson of the Ontario Energy Board. As more Ontarians install solar panels and other technologies, for instance, Hewson said their use of the grid shouldn’t be subsidized by others, who currently pay more for distribution because they use more. Adams argued that change means a single-bedroom condo that uses very little energy will end up seeing an increase on their bills and a large, single home with many residents will see a decrease. But large users of electricity will still pay more overall, said Hewson, who said it makes more sense for consumers to focus on the time-of-use line on their electricity bill because that’s where they can consider how they can conserve power. For the one in five electricity users that will see their bills go up because of a move to fixed rates, Chiarelli’s office said it will be limited to a hike of 4 per cent per year. Editor’s note: translation–you pay and pay and pay. Conserve, you pay; use, you pay. Renewables contribute only a fraction of the power Ontario needs but account for a substantial portion of the cost to users. Help for families in “energy poverty”? You’re paying for that, too, though why we are in this situation in energy-rich Ontario (where we are selling surplus power at bargain basement prices) is a mystery of policy and ideology. This week, people living in Ottawa are being bombarded with radio and newspaper advertisements proclaiming that the electrical energy they “saved” over the past six years was enough to “power our arenas”. How about some “truth in advertising”? There is a big difference between reducing your energy use and “saving” money. When a residential householder in Ontario reduces electricity use, that may temporarily reduce his or her electricity bill, but it does not reduce the costs that are incurred by the various companies that are involved in generating, transmitting and distributing electricity. All of those companies are government-owned and regulated utilities. Unlike private companies that, faced with reduced demand for their services, have to cut back production and costs, the electrical utilities are completely protected by their regulated rate structures. When sales go down, they simply apply to the regulator (the Ontario Energy Board) to raise their rates per unit of sale, denominated in kilowatts per hour (kWh). So, the price for the consumer just goes up after the next rate hearing. But it gets worse, far worse. When the Ontario government advertises about “saving energy,” it is not talking about saving consumers money. It is talking about— in theory— reducing the costs associated with generating and transporting electrical energy to consumers. Reducing demand usually refers to two things: reducing the overall average use of electricity and switching the use of electricity from the peak periods of day and season to other times. Reducing the average use over time reduces the amount of generating capacity of all kinds that the electrical utilities need to build. Reducing the peak uses can, in theory, cut the amount of peaking capacity (electrical energy generation capacity that stands idle to be used when needed) that has to be built. So, in theory, Ontario wants us all to use less electricity so that its utilities won’t have to build more expensive generating plants and transmissions lines. This is where things start to get bizarre. 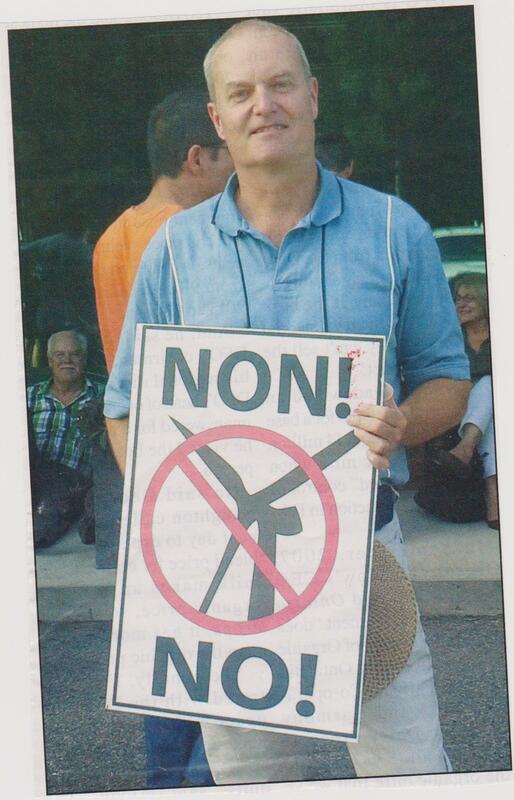 You see, back in 2002, people were justifiably worried that Ontario would not have enough generating capacity. So the province started to add more, and more, and more. In fact, Ontario has added more than 12,400 megawatts (MW) of generating capacity since 2002. As of March 2015, the Independent Electricity Systems Operator (IESO) had 18,458 MW of in-service generating capacity, not counting the significant amount of solar powered capacity that is contracted by the several distribution utilities in the province. The Ontario Auditor General, in his December, 2014 report, found that, while IESO is required to maintain an operating reserve of between 1,300 and 1,600 MW for contingencies, since 2009 the available surplus has been between 4,000 and 5,900 MW. Meanwhile, IESO is busily contracting for immense amounts of additional capacity, mostly to meet the dictates of the 2009 Green Energy and Green Economy Act. In 2015 alone, newly contracted supply of renewable energy sources (wind, solar and biomass) totaled 1,700 MW, raising the amount of IESO contracted (but not necessarily built) supply to 21,000 MW. This contracted supply is on a path to reach 23,000 MW by the 2018–2022 period. Demand continues to fall every year. With massive and costly oversupply and a legislated mandate to continue contracting for more, what does IESO do? Does it cut back on its “conserve, conserve, conserve” campaign? Why no, it ramps it up. The present focus is on two strategies — programs and pricing. The programs include plenty of advertising and financial inducements to get people to use less electricity, programs that cost hundreds of millions of dollars and are charged to — you guessed it — Ontario electricity ratepayers. 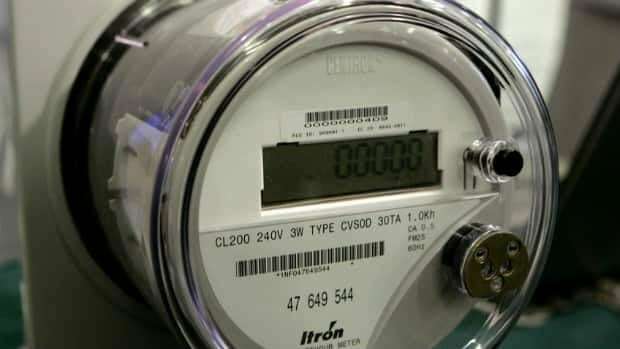 The pricing strategy is delivered though the use of “smart meters” and time-of-use pricing is to gouge ratepayers until they yell “uncle.” The rate for on-peak service went up on May 1, 2015 to 16.1 cents per kWh. Despite all this activity, the surplus continues to grow. So the power is exported. In 2014, Ontario’s exports totaled 19.1 terawatt hours (TWh), sold at a loss of $1.4 billion. If current trends this year continue, export sales will reach an all-time high and an all-time maximum loss of about $2 billion. You already know who will pay for that. In effect, every kWh saved is another kWh exported and more money lost. Keep that in mind when you hear the ads. As the Ontario government announces new unilateral climate policies, Canadian policymakers would be well advised to heed the lessons of Europe’s self-defeating green energy debacle. The European Union has long been committed to unilateral efforts to tackle climate change. For the last 20 years, Europe has felt a duty to set an example through radical climate policy-making at home. Political leaders were convinced that the development of a low-carbon economy based on renewables would give Europe a competitive advantage. European governments have advanced the most expensive forms of energy generation at the expense of the least expensive kinds. No other major emitter has followed the EU’s aggressive climate policy and targets. As a result, electricity prices in Europe are now more than double those in North America and Europe’s remaining and struggling manufacturers are rapidly losing ground to international competition. European companies and investors are pouring money into the U.S., where energy prices have fallen to less than half those in the EU, thanks to the shale gas revolution. Although EU policy has managed to reduce CO2 emissions domestically, this was only achieved by shifting energy-intensive industries to overseas locations without stringent emission limits, where energy and labour is cheap and which are now growing much faster than the EU. Most products consumed in the EU today are imported from countries without binding CO2 targets. While the EU’s domestic CO2 emissions have fallen, if you factor in CO2 emissions embedded in goods imported into EU, the figure remains substantially higher. Of all the unintended consequences of EU climate policy perhaps the most bizarre is the detrimental effect of wind and solar schemes on the price of electricity generated by natural gas. Many gas power plants can no longer operate enough hours. They incur big costs as they have to be switched on and off to back-up renewables. This week, Germany’s energy industry association warned that more than half of all power plants in planning are about to fold: Even the most efficient gas-fired power plants can no longer be operated profitably. Every 10 new units worth of wind power installation has to be backed up with some eight units worth of fossil fuel generation. This is because fossil fuel plants have to power up suddenly to meet the deficiencies of intermittent renewables. In short, renewables do not provide an escape route from fossil fuel use without which they are unsustainable. Ontario hydro bills are scheduled to increase as temperatures decrease, the Ontario Energy Board announced Thursday. The price per kilowatt hour will go up for on-, off- and mid-peak hours of the day starting November 1. The Board says the changes will translate into a 1.7 per cent increase on a typical bill. That’s about $2 a month for the average household. The lowest priced periods remain weekdays from 7 p.m. to 7 a.m., as well as all day during weekends and holidays. The off-peak price will be 7.7 cents per kilowatt hour — a 0.2 cent increase from current prices. Electricity prices in Ontario have now gone up 51 per cent in off-peak usage, 41 per cent in mid-peak usage and 41 per cent in peak usage in the last four years.